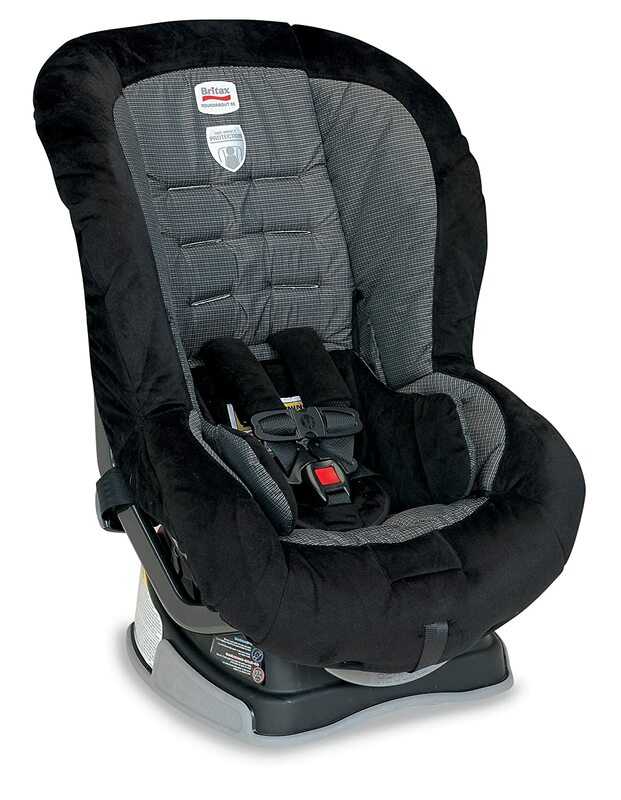 The runner-up of the list of the three best convertible car seats according to Amazon.com is the Roundabout 55 from Britax which is one of the biggest car seat producing company in the world. This car seat owns the same features as the previous one of course with some differences. As for the material it is made from polyester. This seat also provides 360 degrees of protection for your child in the event of a crash. It also includes a BRITAX Side Impact Protection system which has a rigid shell with deep sidewalls and energy absorbing EPP foam. This basically forms a barrier between your child and the parts of the car in case of a crash and it also protects the kids from forces from every direction. The duty of energy absorbing EPP foam is to absorb the crash energy may impact the child in case of a crash. Similarly to the other representatives of Britax, the Roundabout 55 is also produced with a SafeCell technology which is designed to compress in a crash lowering the center of gravity and prevent the forward movement of the seat so that your child doesn’t hit the front seat of the car in front of him. Integrated steel bars also help to prevent forward flexing of the seat reducing of the risk of head injury. Britax Roundabout is also suitable for children of different age and height because the buckles can be repositioned. Although it is sold separately you can get an infant positioning insert which is the best way to optimize the fit of a small baby. For higher level of comfort, comfort pads are provided just like for the big brother of this seat. The seat is well padded and the covers are comfortable too. There is an optional infant positioning insert it is also of the best quality and works really well, whenever you reposition the seat’s recline the baby insert will reposition the baby in it, so it makes it even safer, because you can be sure that your little one is in the best position he can be. You might have had trouble with harnesses when you wanted to load or unload your child. Britax Roundabout 55 provides a great solution for this problem, because it has Velcro harness straps you can use when loading or unloading your kid. It is an excellent choice for those who have smaller cars, because Britax Roundabout 55 is a relatively narrow seat. It is a very positive feature not only for those who have a smaller car, but for those who have more children because it is possible to place more seats side by side in the car. As most of the car seats Britax Roundabout 55 can be used in two positions, rear facing position and forward facing position. It has the average limits of weight in both positions. In rear facing position the highest weight that you can use the seat with is 40lbs then you have to change to forward facing position, where the weight limit is up to 55. There are three recline positions of the seat, one for rear facing position and the other two is used in forward facing position. 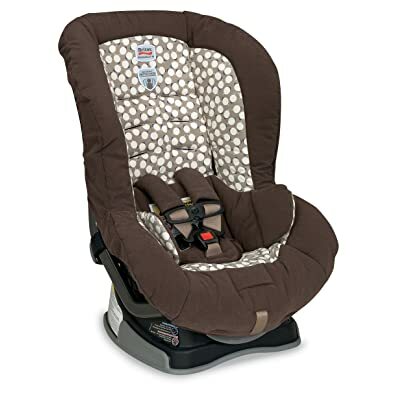 Britax Roundabout 55 is a very light convertible car seat, it only weighs 17.2 lbs. which makes it possible to carry it easily, for example when you go by plane it’s not much of a trouble to take it with you, you may not even need any luggage carriers to do so. We have discussed the positive sides of the seat so it’s time for considering some negative features. The biggest problem with the seat is with the harness, it is a little bit difficult to relocate the slots of the harness and they are in the way when you want to take the cover off. The other problem, at least if you have a child with longer torso, is that the legroom is very small in rear facing position compared to other seats.